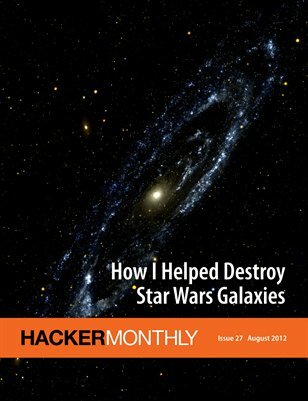 The 27th issue features "How I Helped Destroy Star Wars Galaxies" by Patrick Desjardins as the cover story, and "The Salesman and the Developer" by Daniel Tenner. And, we have "Being Deaf" by David Peter, and "My Magnetic Implant" by Dann Berg in the Special section. Lastly, learn about "Consistent Hashing", "Relational Shell Programming", "The Anatomy of Profitable Freemium", "Why Cheap Customer Cost More" and many more in our latest installment.